This post is from Henley Pretzel and his mom and dad. Thanks, guys! We know literally nothing about Henley’s background, aside from the fact that he’s some sort of Poodle/Terrier mix (we thought Westiepoo). So we decided to DNA test him! 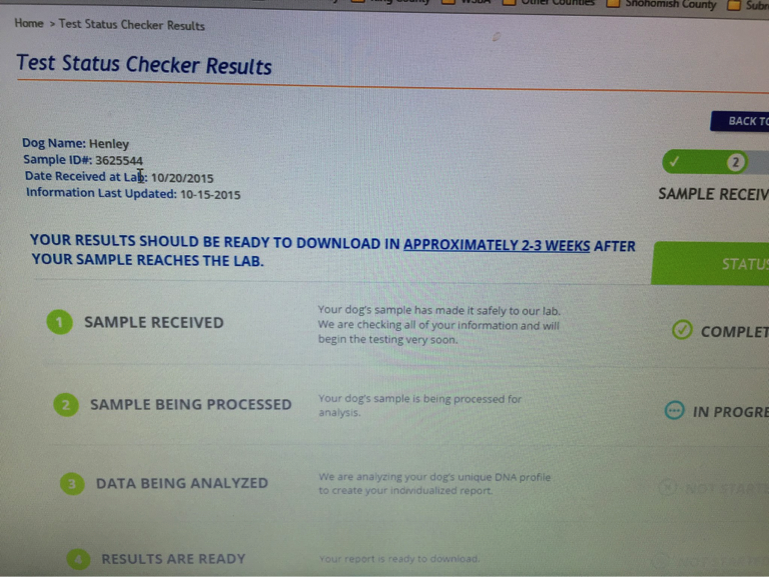 Enter the Wisdom Panel 2.0 Breed Identification DNA Test. We bought one on Amazon for about $75. 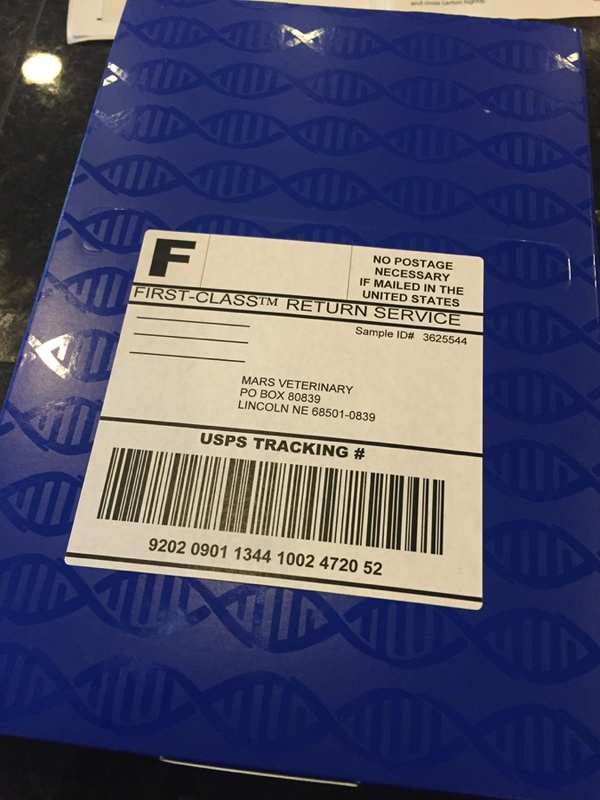 The concept is pretty simple: You swab your dog’s cheek, activate your kit online, send the sample to the Wisdom Panel lab and they email you in 2 to 3 weeks with the results of the DNA test! 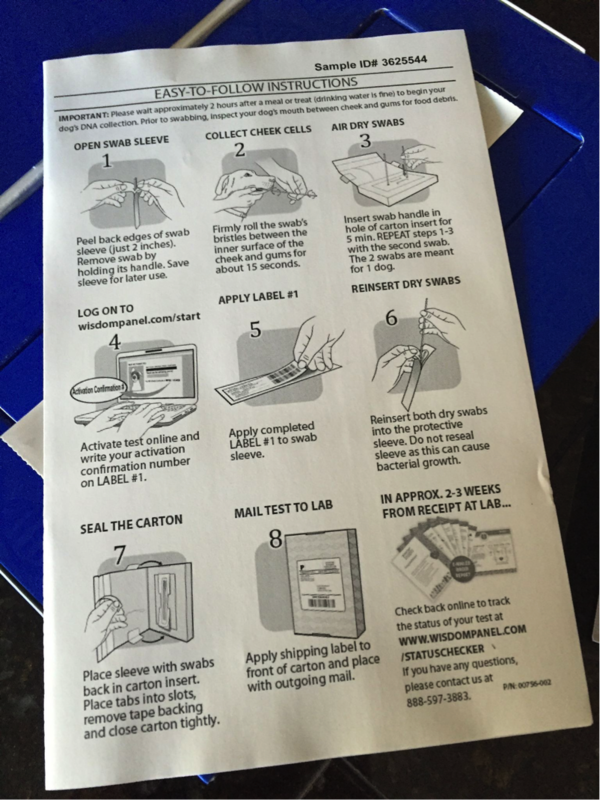 The kit contains easy instructions. 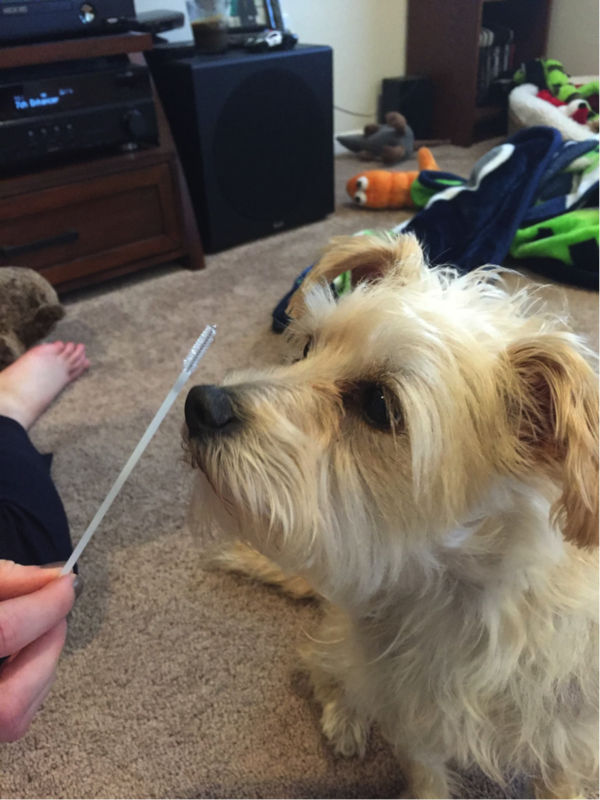 There are two swabs and you should swab your dog for 15 seconds on each one. They also recommend that you wait about 2 hours after food or treats before you swab your dog. 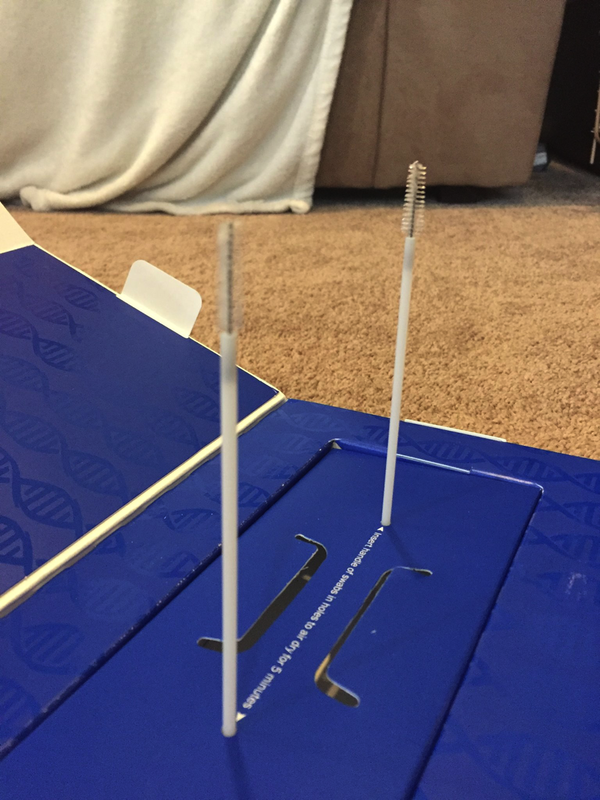 After you get the swabs, give your dog a treat and then let the swabs air dry in the box. 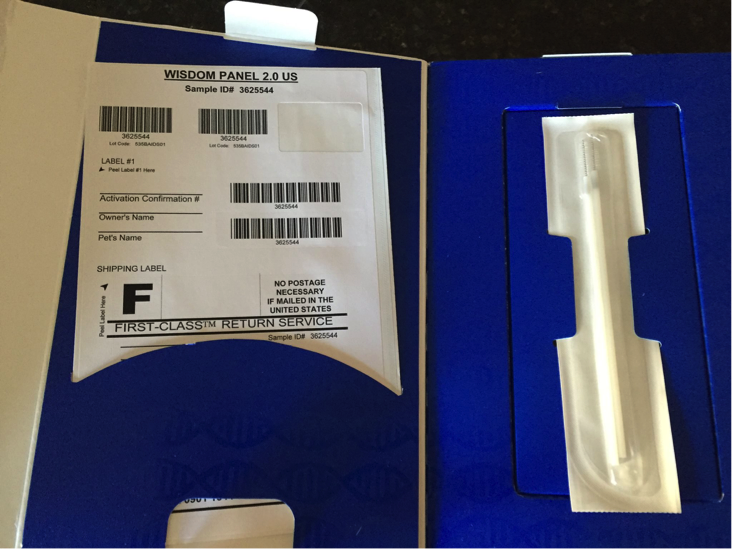 Then wrap the swabs back up in the plastic sleeve, activate your info online and put everything together in the self-addressed pre-paid box and send it on its way! You’ll get confirmation when you’ve activated your kit, when the sample has been received, and when the results come in. There’s also an online status checker, so you can log in anytime to see where the DNA is in the process. The kit says it takes 2-3 weeks for results, but last night (about 8 days after the kit was received by Wisdom Panel), I got THE email! Results are in! And Henley, everyone’s favorite ThunderShirt wearing Westiepoo is . . . #notawestiepoo. Mic drop. He’s a WHAT?! 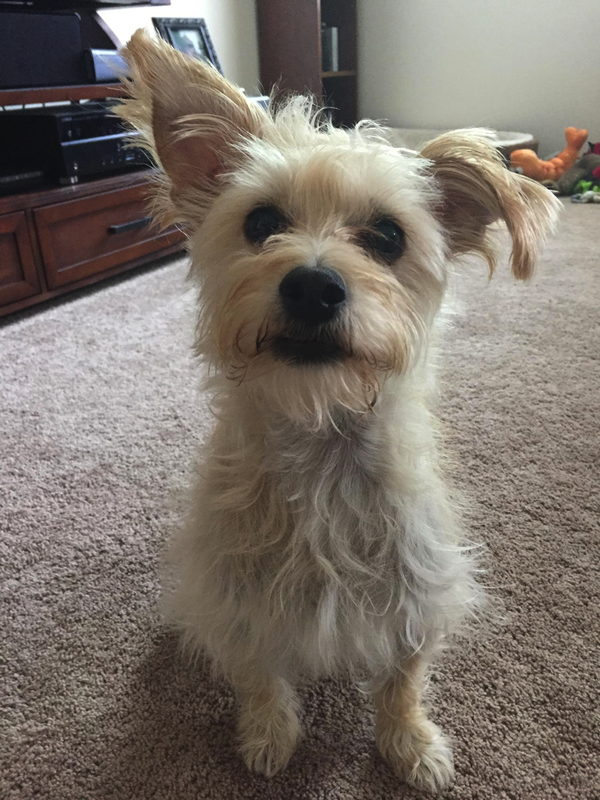 Chihuahua and Mini Schnauzer mix?!! 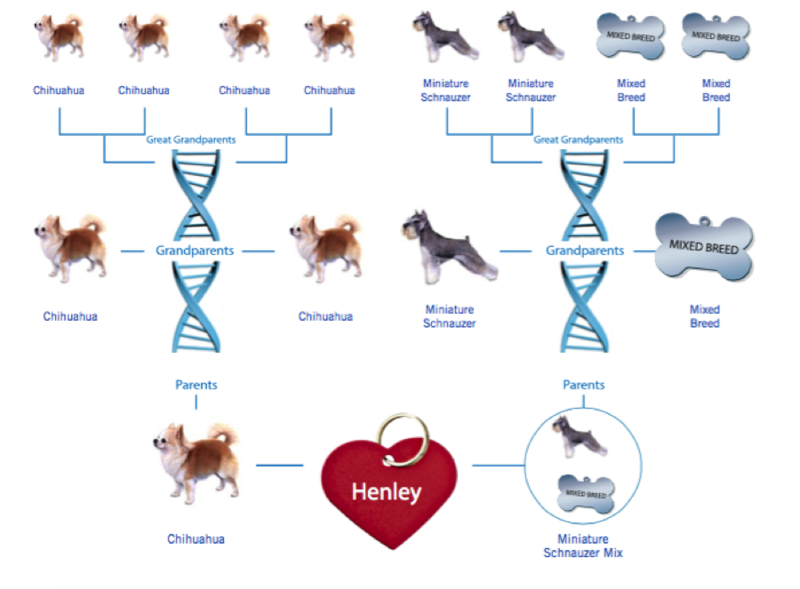 Wisdom Panel provided us with this whole genealogy chart showing his, um, pedigree. He’s got strong Chihuahua in him, all the way back to his great-grandparents. The other side in Miniature Schnauzer mixed with SOMETHING. Wisdom Panel couldn’t completely identify the SOMETHING, but they did provide some ideas, which includes strong terrier lines and Greyhound lines. Wisdom Panel also provides a snapshot of each breed, including physical characteristics and personality quirks. That way you can see what your traits dog inherited. So, what did we think? 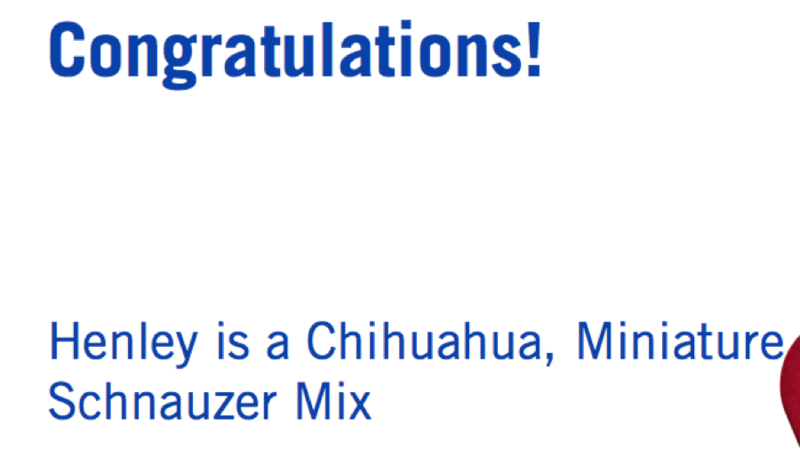 This certainly explains some things, like why Henley shakes when he’s nervous (Chihuahua genes) and why he tries to race dogs at the dog park (Greyhound genes). But still, so many questions! Terrier-Poodle mix suited him fine, but that’s obviously only a small part of him. A very small part. 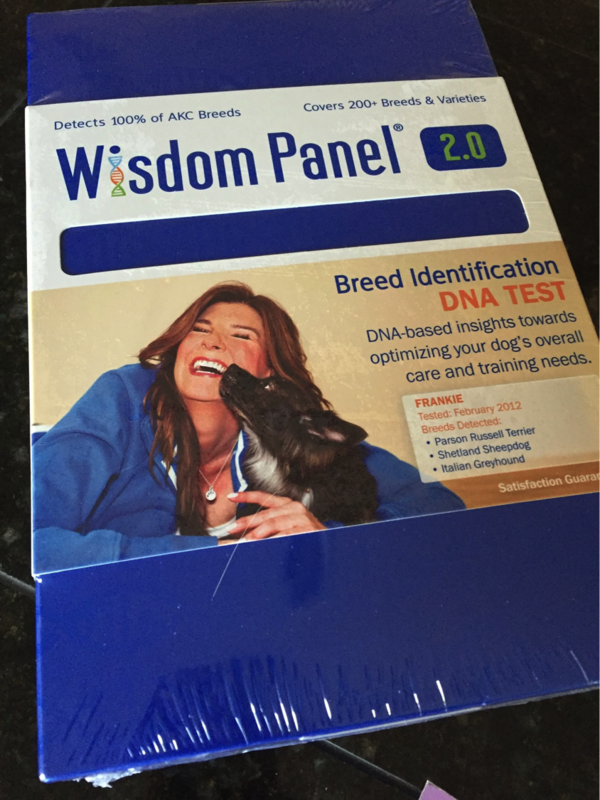 We’d definitely recommend the Wisdom Panel 2.0 Breed Identification kit. It was quick and easy to do and definitely gave us some insight into little Henley. 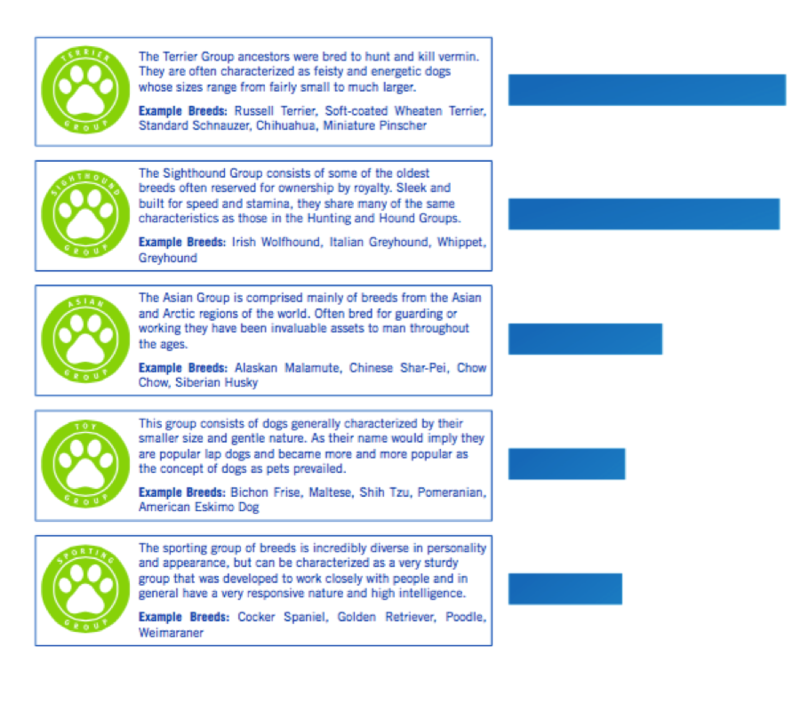 They give lots of great background info on the possible breeds that are involved and its fun to see what kinds of traits your dog inherited. This is not a sponsored post and pretty sure Wisdom Panel 2.0 has no idea who we are. We just wanted to learn more about Henley and bought the kit on our own! Posted on November 1, 2015 by Shannon	This entry was posted in This 'N' That and tagged DNA Test. Bookmark the permalink.